Register to become a Saint Lucia Touchpoint! You should participate only if you are interested in contributing to growing tourism in Saint Lucia and developing your nation. 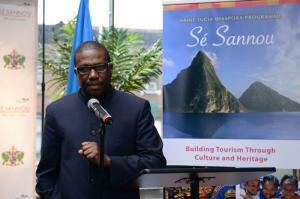 The Saint Lucia Tourism Authority is ultimately responsible for the marketing of Saint Lucia and generating tourism arrivals and the Saint Lucia Diaspora Program helps to compliment the work the Saint Lucia Tourism Authority is undertaking in the marketplace.